Come and experience the Korean food and culture at the Tteok Museum. 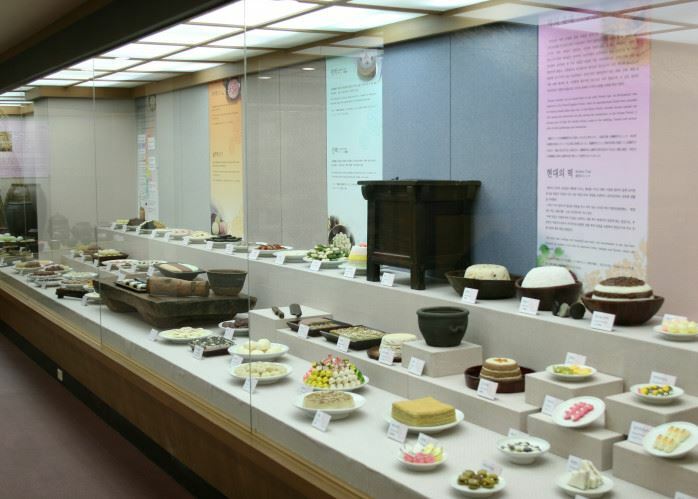 The Tteok Museum is a dynamic place where you can enjoy how to make delicious tteok(rice cake) and other Korean dishes, along with seeing the displays of the museum. 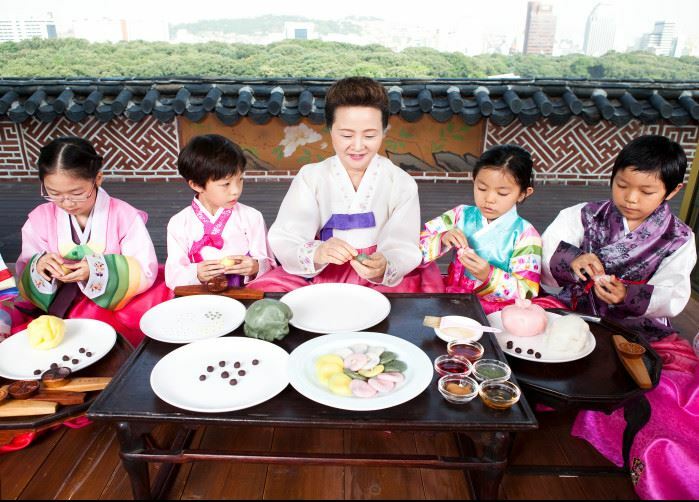 This unique program will help you understand more about Korean food culture while experiencing the wisdom of bygone generations. Reservations are required by phone at least 2 days in advance. The experience hours will be confirmed at the time of reservation. Explanation on Korean culture and food. Instructor’s demo & student’s practice. Tasting & packing. Explanation on Korean food culture and kimchi. Instructor’s demo & student’s practice. Explanation on Korean food culture. Certificate in Korean, if desired, is presented. Please send the E-mail( tkmuseum@tkmuseum.or.kr) for reservation at least a week in advance. Tteok is a food that contains the emotion and culture of Koreans. Its types vary depending on the seasons and the provinces. Experience the beautiful Korean tteok that is essential for various ritual occasions. Kimchi is a fermented dish representing Korean food, and can be considered as a slow-food. Enjoy the Kimjang culture which is listed as UNESCO heritage. Korean traditional food is a healthy one. It boasts a variety of recipes using natural ingredients. Experience the tastes and styles of Korean food. · The menus are to chosen by consultation. 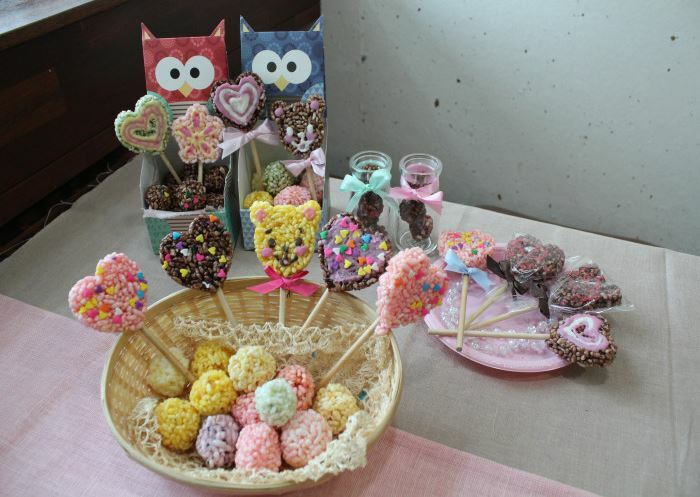 Displays various rice cakes, Tteok, which are enjoyed during the major holidays and festivities in Korea. Other seasonal rice cakes are displayed along with the utensils required to make them. 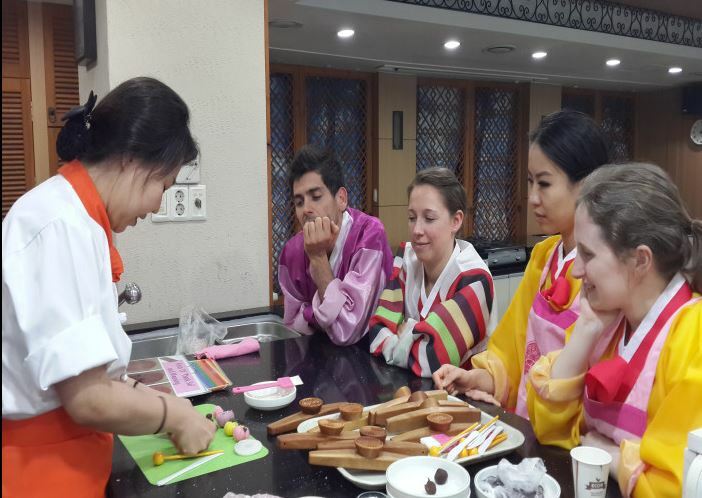 In this way visitors can learn about Korean rice cakes and their preparation. Shows food used in traditional rituals. Also displayed in this room, theme-wise, are relics worn shiny with age by our forefathers. in a man’s life, form life to death, there are at least four major sequential rituals. The paraphernalias, especially food and dress, is on view to help visitors to understand their significance.